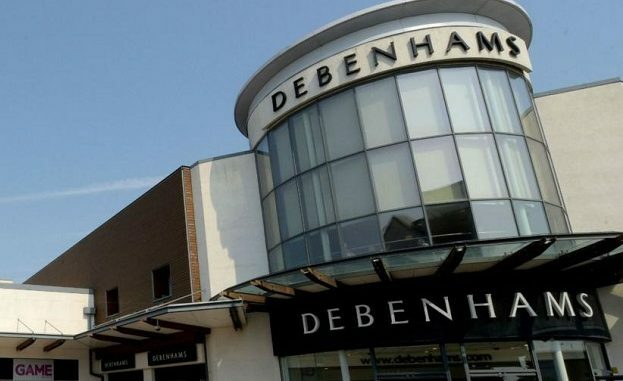 Debenhams will close 50 stores over the next three to five years but has not released a list of the sites under threat. The retailer, which has an anchor store at Westwood Cross, lost £491.5 million in the year up to September compared to £59 million in profit the year before. The closures will put 4,000 jobs at risk. Originally the chain had planned to shut 10 stores but preliminary results results today (October 25) reveal this has now risen to 50. Ramsgate County Councillor Karen Constantine has written to Debenhams headquarters to ascertain whether the Westwood Cross store and its staff will be impacted. She said: “This is very concerning. I’m sure staff at Westwood Cross are extremely worried right now, I’m waiting for clarification. In the results statement Debenhams CEO said: ““It has been a tough year for retail in 2018 and our performance reflects that. We are taking decisive steps to strengthen Debenhams in a market that remains volatile and challenging. “Working with our new CFO Rachel Osborne, and the board, I am determined to maintain rigorous cost and capital discipline and to prioritise investment to achieve profitable growth. “At the same time, we are taking tough decisions on stores where financial performance is likely to deteriorate over time. Twenty-five stores will come up for lease renewal within the next five years. The company also plans to develop a “new lower-cost approach” for 20 stores. Debenhams is one of two anchor stores – the other being Marks & Spencer – at Westwood Cross, which opened in June 2005. Westwood Cross is also one of the sites for Claire’s accessory stores which face an uncertain future after US parent company Claire’s Store Inc, filed for bankruptcy earlier this year. The US firm has now emerged from Chapter 11 protection after restructuring some $2billion debt. What they plan to do is say to the landlords of the the stores “we want our rent reduced or better still stopped for two years or we will close the store”. Most out of Town retail parks are owned by get-rich-quick merchants. They don’t want empty stores they cannot fill on their retail park. So they have a choice take less rent or have an empty store. To boost the town centres ALL parking should be free for two hours. Agree with the comment above free 2hr parking in all Thanet town centre locations would boost local economy massively.